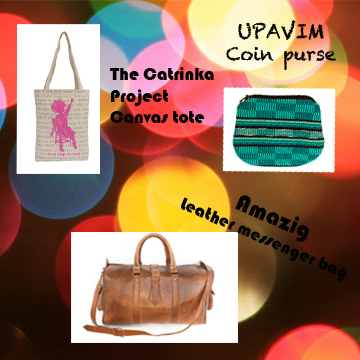 I had grandiose plans since last year: compiling a massive gift guide the likes of which have never been seen before. But, 1) they pretty much already exist online (not exactly as I had envisioned it, but still, it’s been done), and 2) December 2011 came around much quicker than December-2010-me imagined it would. (um, I was hoping to link to it but it seems like this will have to do until I switch over to WordPress and can actually upload PDF documents. sigh). I was going to post a link to my 31 Bits Charity of the Month post, and just realized I never did one, I only featured them in my holiday gift guide. I’m appalled, to be honest. 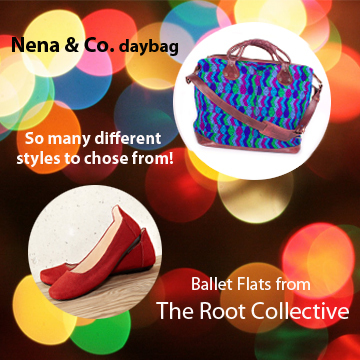 Expect them for July’s Charity of the Month :) Meanwhile, you can check out the amazing work this charity is doing here. I bought these straight from the farm. Probably the sweetest strawberries I’ve ever had. I made an improved version of the strawberry dessert with some recommendations from Jeff: I put them in plastic martini cups, and topped them with a whole strawberry with a toothpick through it. No picture, but imagine it. It was glorious. I had too much cake though, and not enough martini cups, so the last layer of cake stayed a cake. Improvisation. Not half bad, huh? We were going to have a birthday girl in attendance, so it was actually quite perfect. 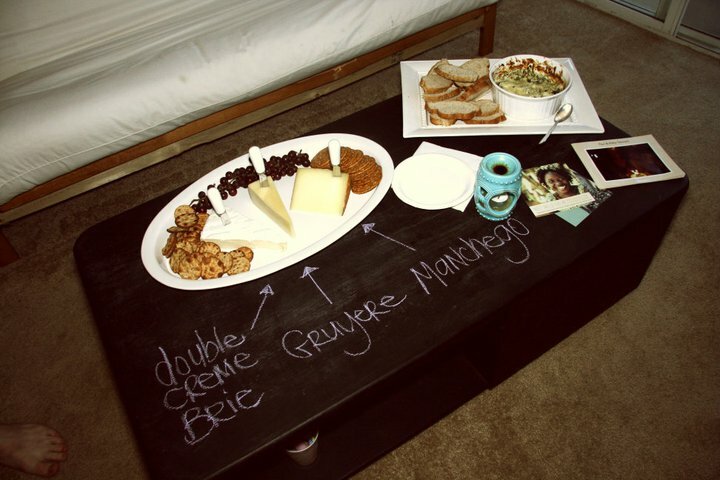 This is perhaps the coolest coffee table I’ve ever seen. Abby painted it with this chalk board stuff, so you can literally write on it with chalk, and wipe it off. And you can use it to let people know what cheese is what. GENIUS! 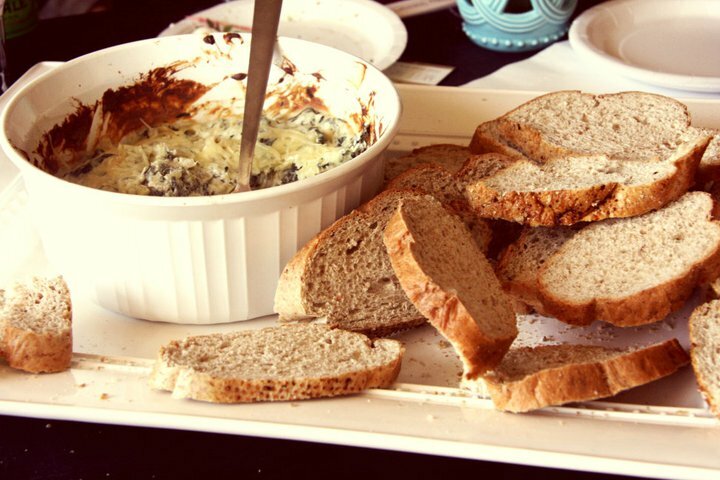 Johnny’s spinach and artichoke dip, with fresh wheat french bread, yum! 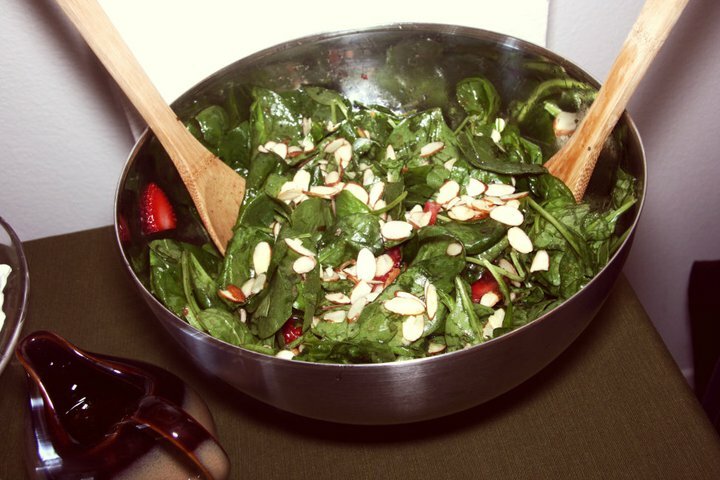 Spinach and strawberry salad with balsamic vinaigrette, and almonds. These two. Thanks for being incredibly awesome and supportive! Seriously. This has to be the new face of 31 Bits! 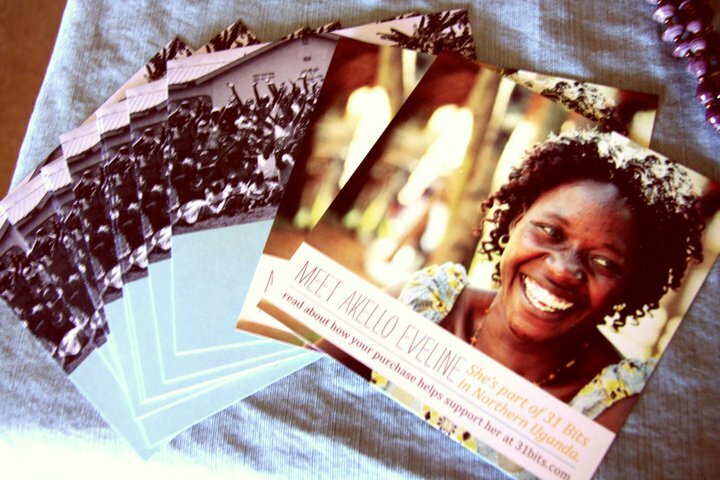 Thank you so much to everyone who came out to support 31 Bits and the amazing work they’re doing, you guys are amazing.